“CIRCLE in a Spiral” is my latest novel which will be available for Christmas 2017. The story line is basically along the lines that the human race has destroyed the fabric of our world and now will most likely create some ripples or chain reaction which will affect the universe. Scientists and the military are creating super-humanoids with self-aware AI and appended genetic code to make them invincible. Other scientists are destroying the building blocks of life using high energy beams to identify the mechanisms which hold together the dark matter that permeates the universe. Life and Death algorithms and universe sentinels are all focused on managing or terminating the human race in order to control the development of human machines and technology. Sarah Robinson has been designed to fix the problem by finding the ‘Krel Key’ – a complex sequence of embedded algorithms which prevents the humanoids from truly being self-aware and their machines from being absolute destructive forces. Yes, a female lead character. The ideas for the book came from two separate dreams. The end result is a melding of two previous short story ideas into a third vehicle with its own story line. There is a sprinkling of humour to counteract the more serious aspects of how humans have ruined the environment. The book is primarily aimed at Adolescent Fiction but is suitable for anyone interested in science fiction or who cares about climate change / AI dominance. 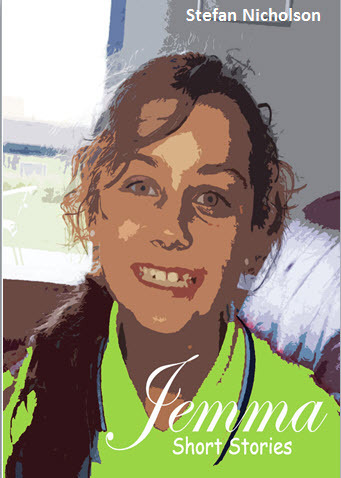 “JEMMA – short stories” is my latest book of short stories which is available now. Jemma – Short Stories book follows on from the first Jemma story titled “Jemma’s Blues” which was written during my MA course in writing at Swinburne University. The Palette Family have comedic experiences where each story deals with developing the characters within successive plots, in line with audience expectations, based on previous episodes. All the family members are introduced in the first story with Jemma being the central character. TV scripts have already been written. Oh, and there is the theme music that has already been composed. Just saying . . .